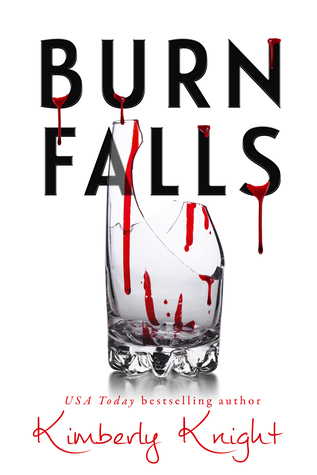 Burn Falls is a new release from Kimberly Knight. I don’t usually read vampire novels but as a huge fan for Kimberly’s, I was very interested in her story. We have Draven and Calla as the main characters and a host of other important characters to round out this story. We also have good vs. evil as well in both human and vamps in the book.The book does move around a little to fill in parts of the story from Draven’s past, but it’s information that is needed to fill out of the story as well as understand how he lives in current society. Calla has an interesting family life and with being the oldest child, the pressure as well. Her family is loving but stressful, like most. She heads home for the Christmas holiday’s. While helping her father at the family business, there is an issue and her father is attached. She gets help and gets him to the hospital, the wound is significate. This is where Draven and Calla met. Draven’s is her fathers doctor. The attraction is instant but given Draven’s past and being a vamp, he doesn’t want to act on it. As Calla is hurting and dealing with the stress of not knowing if her father will make it, she doesn’t put a lot of thought into Draven. As things happen, her father unfortunately doesn’t make it. Draven knowing about the injury knows that another vamp did it and calls in a friend to help keep watch over the family and try to figure out why the attack happened. This goes on for some time and Draven and Calla continue to get closer to each other. Calla finds out that her father really did want her to run the family business, so she moves her life back to her home town. With Draven and his friends help, that get her moved. Calla’s best friends also keeps Draven’s best friend happy during all this time as well. During this time, Calla and Draven have that heart to heart where she finds out what he is. While shock, she doesn’t pull away. Instead she moves further toward him, even knowing that it can’t be the HEA she wants. Once she’s moved back home, some more information comes to light about her families history and how Draven’s sire is tied to it. Really interesting part in the book!!! And Draven starts to do something but Calla won’t have it. While driving, she has an accident and Draven has to make a quick decision to save her life. He does but then stress’s about it. All works out ok for them with regard to that but during a dream Calla has, everything comes full circle. I won’t give the ending away but we do find out some interesting things about Draven’s best friend, that the dream wasn’t just a dream and we get the HEA we love. Most of the additinal characters are ok with the vamp knowledge so that takes away from some of the ending stress I was afraid of. Thanks for letting me be part of the ARC Kimberly, I really enjoyed the story and characters!